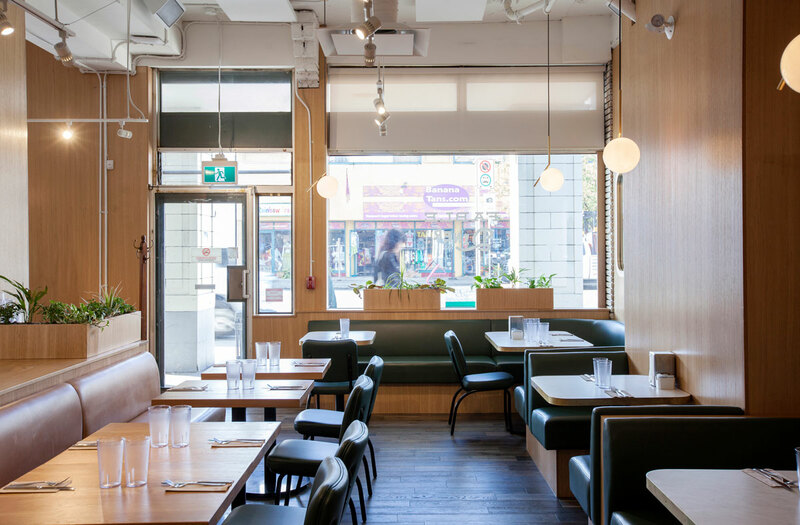 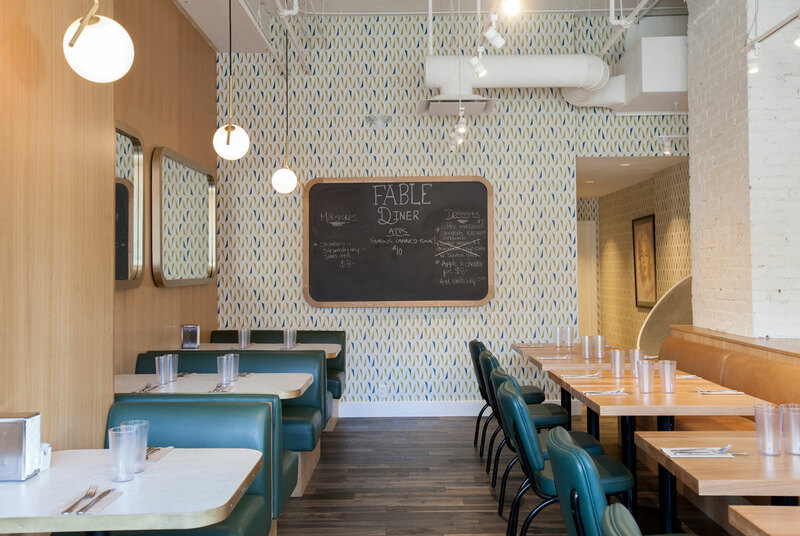 Fable Diner is an all day restaurant serving breakfast, lunch and dinner. 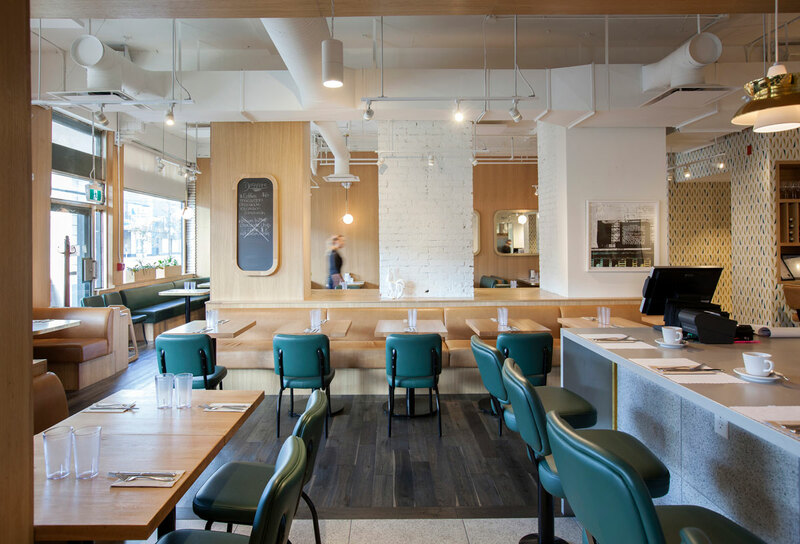 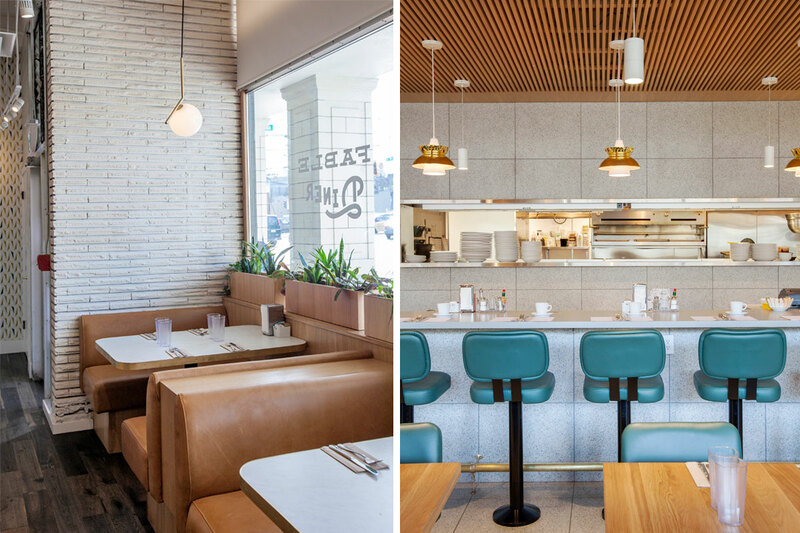 Located in the historic Lee Building, the design pays homage to the history of the building as well as a modern take the classic diner aesthetic. 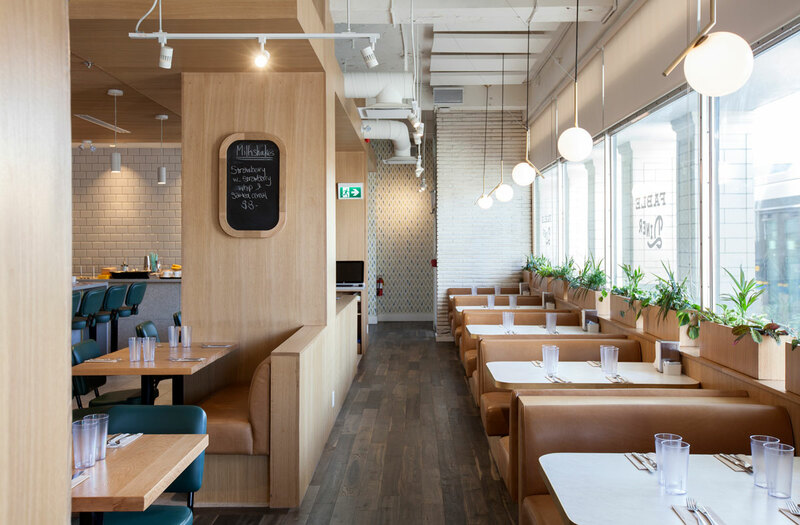 Light oak and leather form the basis of the finishes, with brass accents provided in the light fixtures, mirror frames and bar accents. 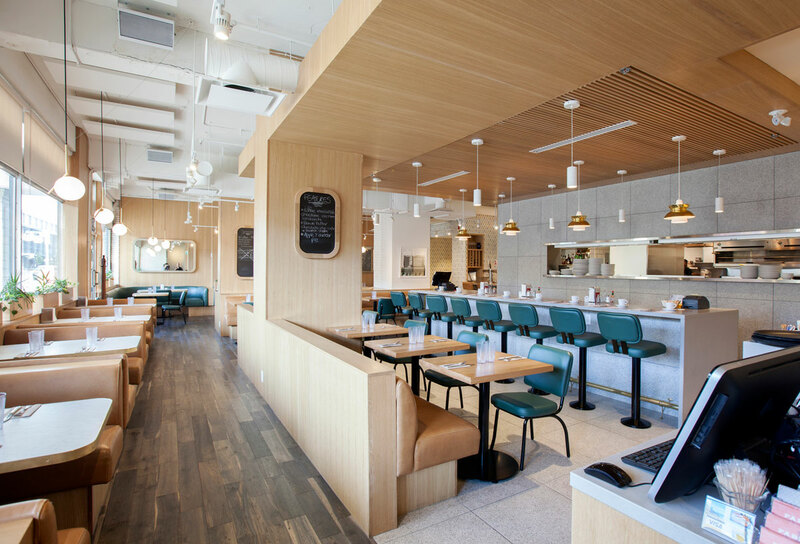 Counter seating at the kitchen provides for customer and staff interactions, while a variety of booths provide more intimate diner seating. 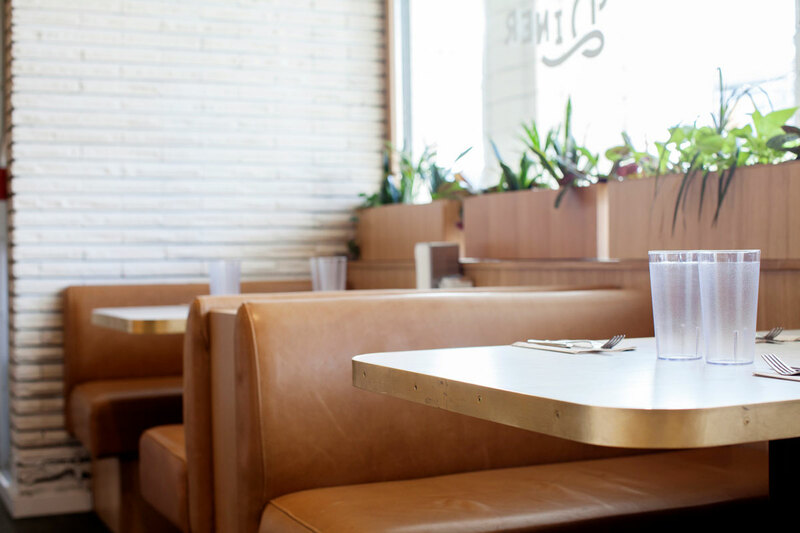 Custom planters line the booths at the front windows, providing a cheerful screening from busy E Broadway. 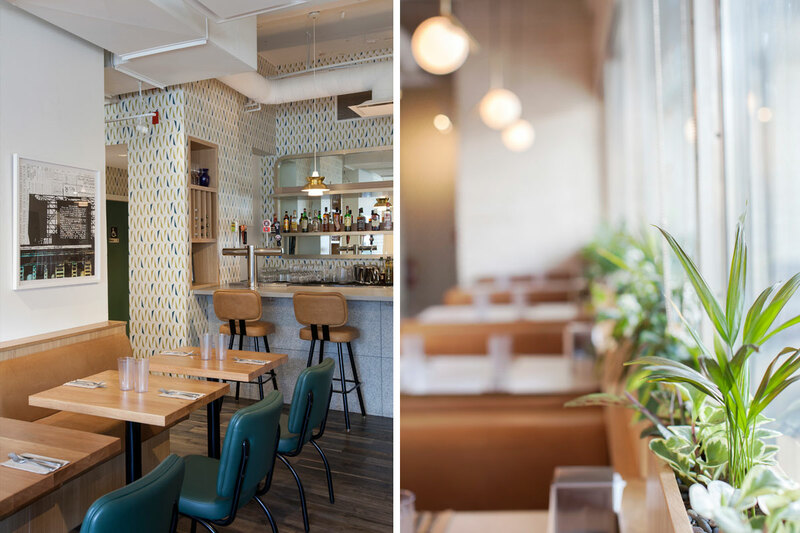 Custom wall paper was also provided by Evoke, further enhancing the references to diners of the past.